Hello! 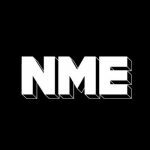 Here are some new discoveries for your new, free NME. The first band I’m super excited about are called Vinyl Staircase. All aged 17, the two brothers and two best mates from Surrey are letting their freak flag fly with their recent Aquaelle EP. I know it’s lazy to compare new bands to other bands, but if you wanna get an idea of what the Teardrop Explodes would sound like if they ate a bunch of acid dipped ‘The Piper At The Gates Of Dawn’ vinyls and had singing-drummer-legend Grant Hart from Husker Du smashing his way around at the back then check out ‘Avant Garden’. Elsewhere, the riff on ‘Float Away’ is pure youthful euphoria; all Sonic Youth scuzz against radio-worthy melody. If they are making this sort of noise while still at school then there will be no stopping them by the time Freshers Week rolls around next year. Trophy Bucks, from NYC, might only have one live demo online but it’s raw and thrilling enough to demand repeat plays. Frontwoman and superstar in waiting singer Aduni Gro delivers a killer vocal over some serious MC5 glam riffs and even finds room for a perfect, four-note organ solo in its all-too-short 2:13 running time. These guys are exactly the kind of band I used to dream of discovering in some club in downtown New York – so if your lucky enough to be there make sure you go and do just that at any upcoming shows.